If the shoe fits, wear it. If the shoe doesn’t fit…well, you’ll have to wear it anyway because they don’t make them in your size. This fashion disaster has been brought to you by Darkstalkers #3 (January 2005) by Ken Sio-Chong, Kevin Lau, Alvin Lee, Scott Hepburn, and Joe Madureira. 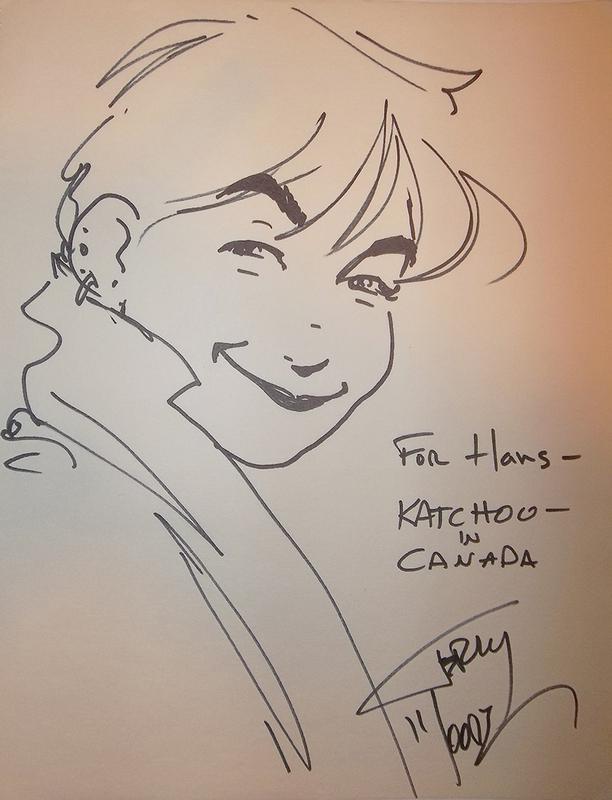 A timeless sketch of Bishop by Georges Jeanty. MY TEACHERS LIED TO ME. Remember the days when someone’s mom sleeping around and their not knowing who their father was was more emotionally difficult and traumatic for them rather than the person they’re confiding in? Sometimes, free love can be a little too free. This graphic revelation has been brought to you by Daily Life With Monster Girls (モンスター娘のいる日常/Monsutaa Musume no Iru Nichijou) – Volume 7 (March 13, 2015) by Okayado. Being a supervillain means dealing with some rather unique recurring occupational hazards. I wonder if there’s a bomb insurance premium for bad guys? 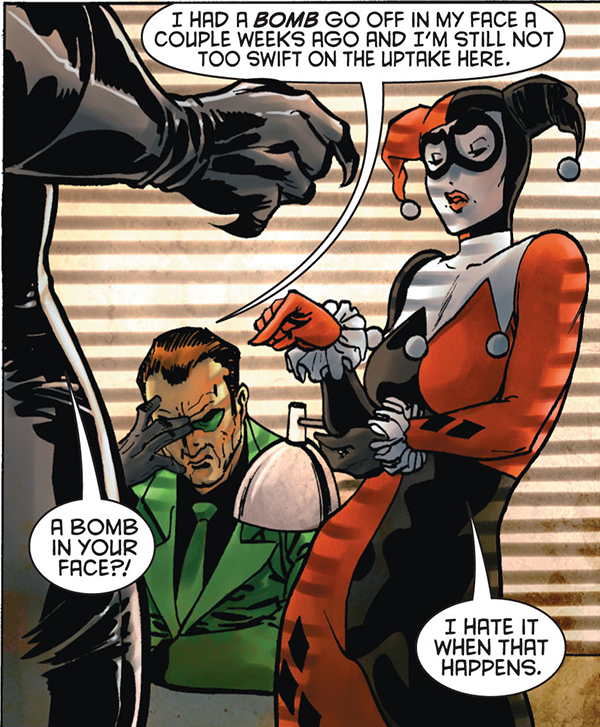 Today’s explosive revelation comes to you courtesy of Gotham City Sirens #9 (April 2010) by Paul Dini and Guillem March.